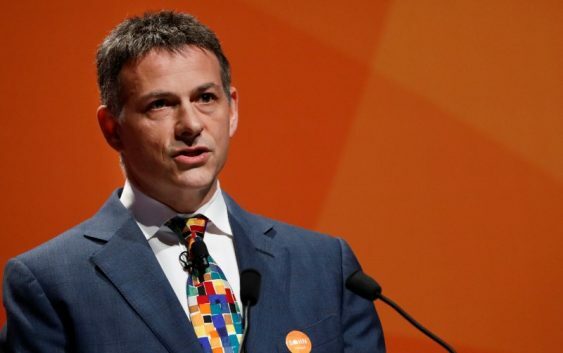 BOSTON (Reuters) – Billionaire investor David Einhorn, whose Greenlight Capital is posting some of the hedge fund industry’s worst returns, cut back several long-term holdings, including Apple Inc <AAPL.O>, Voya Financial Inc <VOYA.N> and Consol Energy Inc <CEIX.N>, a filing made on Tuesday shows. Einhorn sliced his bet on Apple, which had become a smaller holding for him in the five years since he called on the iPhone maker to issue perpetual preferred stock, by 77 percent to 142,100 shares. Greenlight cut the bet before Apple earlier this month became the first publicly traded U.S. company to be worth more than $1 trillion. In the past month, Apple shares have climbed 9 percent. The fund manager also made adjustments to his bigger holdings by selling 38 percent of his stake in aircraft leasing company AerCap Holdings <AER.N>, which he has owned since 2014. 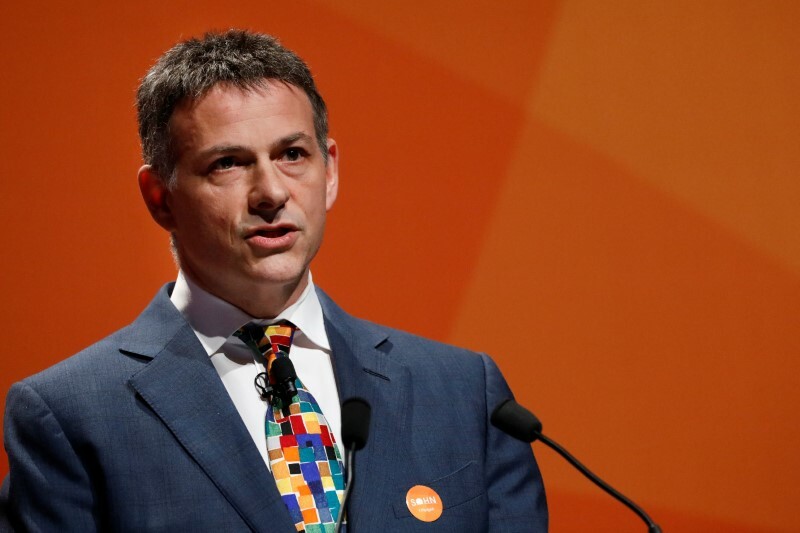 Einhorn reduced his interest in Voya Financial, a holding since 2013, by a quarter and cut Consol Energy by 28 percent, according to the filing, which includes holdings through the end of the second quarter and was made with the U.S. Securities and Exchange Commission on Tuesday. Micron Technology Inc <MU.O>, a perpetual favorite for Einhorn, was nearly eliminated when he sold 91 percent of the stake to own 275,500 shares at the end of the quarter. Einhorn told Greenlight Capital investors that he had lost 19 percent through the end of July. That compares with a 1.45 percent gain by hedge funds, on average, during the same time. Impatient investors, irritated by years of underperformance that accelerated this year thanks to a bet that car maker Tesla Inc’s <TSLA.O> stock would fall even as it has zoomed higher, said they have pulled hundreds of millions out of the fund. Greenlight’s losses likely climbed this week when shares of European life sciences company Bayer, which Einhorn told clients he owned in January, slumped 10 percent on Monday after its Monsanto unit was ordered to pay $289 million. A jury found that Monsanto failed to warn that its weed killers pose cancer risks. Bayer is not listed because the 13-F filings only detail what U.S. stocks managers own. Apart from trimming positions, possibly to raise cash, Einhorn took new positions in consumer discretionary stocks The Gap Inc <GPS.N>, Dollar General Corp <DG.N> TJX Companies Inc <TJX.N>, Autozone Inc <AZO.N>, Dollar Tree Inc <DLTR.O> and Best Buy Company Inc <BBY.N>. At the same time he exited Urban Outfitters Inc <URBN.O>, Abercrombie & Fitch Co <ANF.N> and Five Below Inc <FIVE.O>. He also exited retailer Dillards Inc <DDS.N>, a move he told investors about in his quarterly letter. Einhorn has a reputation among investors for being particularly tight-lipped, bristling when pushed to give more information about his investments. This makes the quarterly filings, while backward looking, interesting to investors. The filings do not include short positions like Einhorn’s bet against Tesla or Athenahealth Inc <ATHN.O>, however, or foreign investments.